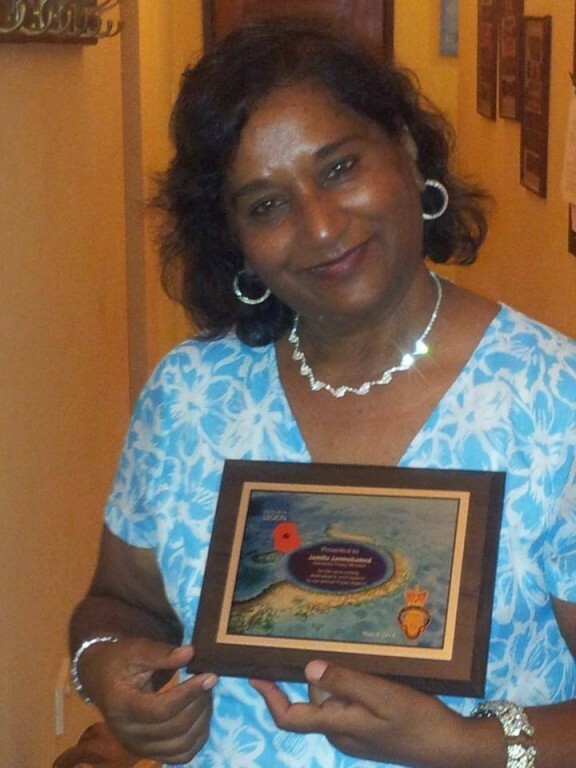 San Pedro resident, Jamila Janmohamed was honored by The Royal British Legion, Belize Branch, for her efforts at raising significant funds for the Poppy Appeal. Since 1991, The Royal British Legion has been promoting the Poppy Appeal to help support the past and present British Armed Forces and their families. As a previous colony of Great Britain, Belize has also adopted this culture and during the month of November, leading to Remembrance Day, residents proudly wear a poppy flower to honor the many Belizean and Commonwealth veterans who have given their life to protect others. In 2004, Janmohamed took over the running of the collection for the Poppy Appeal. Since then, she has substantially increased revenue for the Poppy Appeal. Previous earnings for the Poppy Appeal in Ambergris Caye were little over $200. 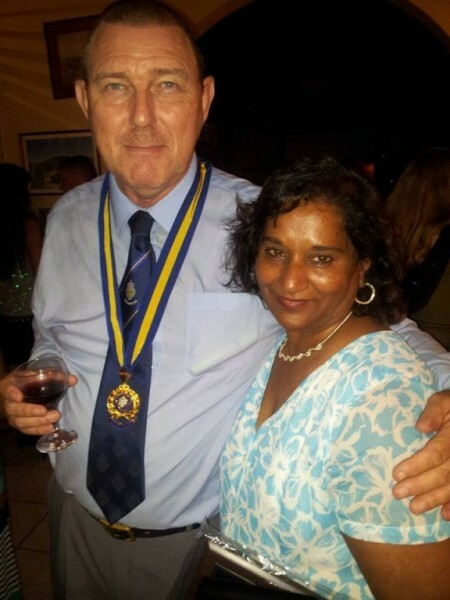 In only on her first month as the head of the Poppy Appeal for Ambergris Caye, Janmohamed raised over a $1,000. Then, in the year 2013, she handed over a grand total of $13,246.86 to the Poppy Appeal, far surpassing every other amount raised previously! For her efforts, she received an honorary award at a special function held at the Flagstaff Mess, located in Ladyville Village, Belize, by The Royal British Legion, Belize Branch. 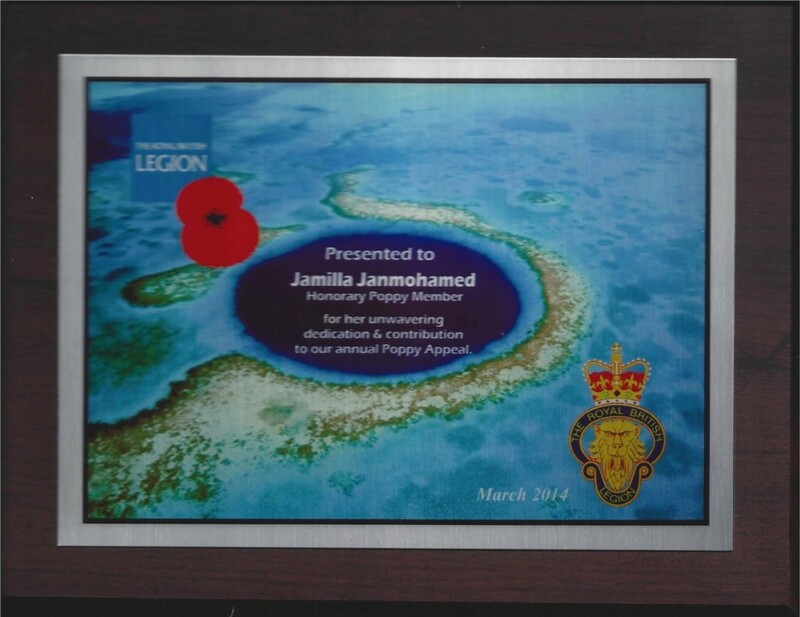 The San Pedro Sun joins the community in congratulating Jamila Janmohamed for her continued efforts and dedication towards the Poppy Appeal.